You may hate it or love it, but there is simply no escaping the silliness of April Fools’ Day. In our own office, googly eyes mysteriously appeared on monitors and other objects, keyboards had their letters rearranged, and worst of all, someone mixed M&Ms with Skittles. What a monster! The internet isn’t a good place to escape either. This past Tuesday, it seemed every site on the web had its own gag for visitors, each more elaborate than the next. Who were some of the best pranksters? Turns out that many tech companies love their April Fools’ jokes. The crazy thing is that some of these jokes were so well-executed that they almost had me convinced they were real. Considering the new advances in technology, can you blame me? We can print out real human organs for crying out loud! The selfie is the photo-taking rage these days, so it makes sense a company would build off of its momentum. Introducing the SelfieBot, from the makers of the Sphero – a flying robot that will revolutionize the selfie. No longer will you have cumber yourself with holding the phone at the perfect angle. One of the key players in the rise of the mobile industry, the Nokia 3310 was one of the most successful mobile phones ever. Long renowned for its legendary indestructibility and inclusion of the lovable snake game, the phone is finally receiving a makeover, headlined by a 41 megapixel camera. 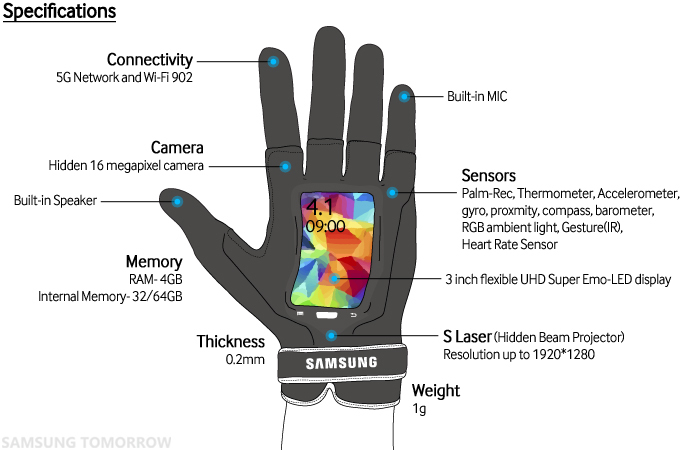 Wearable smart gear is the talk of the tech industry and Samsung has announced its first wearable glove. Boasting incredible technology, such as 5G connectivity and a flexible Super Emo-LED screen, the Samsung Fingers plans on reinventing and modernizing the classic use of the human hand. Not to be outdone, Toshiba and HTC also announced their iterations of the smart glove. What’s not to love about do-it-yourself projects? You get a sense of accomplishment and connection when you complete a project that can’t be found in store-bought products. Honda has grasped this idea to introduce the world’s first DIY car, delivered by drones and in 180,000 pieces. Google went all out on April 1, introducing new feature after feature. Included were the Gmail Shelfie, AutoAwesome for resumes, and Emoji support on Google Translate. Even Google Japan got into the mix and presented the Magic Hand. However, the prime highlight was the announcement of the Google Maps Pokemon Challenge. If you successfully captured all 150 of the fabled creatures, you’d earn your spot at the company: Pokemon Master. Okay, this took place a month before April 1, but it successfully raised and crushed my hopes and dreams in a matter of minutes, so I couldn’t leave it out. Fans of Back to the Future beware, your emotions are in for a roller coaster ride.